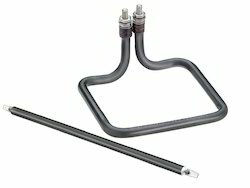 Offering you a complete choice of products which include tubular heater, industrial tubular heater, electric air heater, band heater, manifold tubular heater and m type heater. 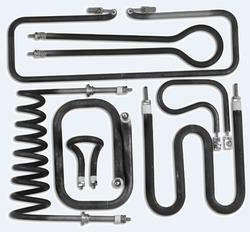 We are highly specialized firm providing a wide endowment of finest quality Tubular Heater. These heaters are widely used in heating air flow directly in various industries such as powder coating plant, chemical plant, corrugating paper industry and textile machinery. 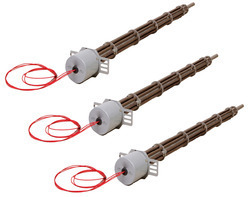 Our offered heaters are manufactured by using premium grade heat resistant coils with sophisticated technology. 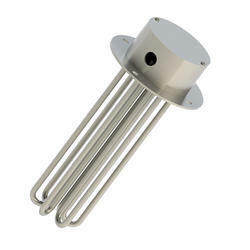 These heaters are designed in various stipulations for catering clients' divergent requirements. We are manufacturer and supplier of Industrial Tubular Heater. Products with good heat dissipation or cooling effect, high temperature-raising, the product applicable to the hot air heating, air-conditioning, drying, cooling, dehumidify and so on. Highly acknowledged for its quality, our company is engaged in offering top-notch quality Electric Air Heater to our patrons. this electric Air Heater is designed and developed using high-quality heating resistance coil and sophisticated technology. This Electric Air Heater can be used in areas where flowing air to be heated directly, as such powder coating plant, chemical plant, Corrugating paper industry, duct heating and textile machinery. Industrial Heat Products' Band heaters are power saving heater consists of standard Ceramic/Mica band components and specially constructed insulation chamber with reflector, all of which are enclosed in a SS perforated heat sink casing. The special internal construction dramatically reduces power consumption up to 30%, in comparison to all other non-insulated band heaters. While the internal steel casing with high thermal conductivity guarantees maximum heat transmission to the plasticization Cylinders. We Are Manufacturer Of Industrial Heater. 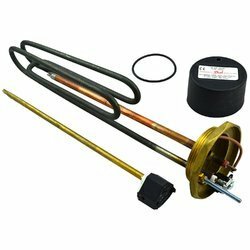 We are highly specialized firm providing wide endowment of finest quality Oil Immersion Heaters . 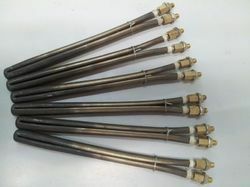 These Oil Immersion Heaters are widely used in heating air flow directly in various industries such as powder coating plant, chemical plant, corrugating paper industry and textile machinery. 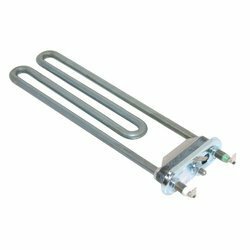 Our offered Oil Immersion Heaters are manufactured by using premium grade heat resistant coils with sophisticated technology. 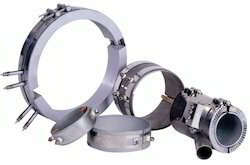 These heaters are designed in various stipulations for catering clients' divergent requirements. With state-of-the-art infrastructure facilities, we are engaged in offering a large range of Industrial Tubular Heating Equipment. 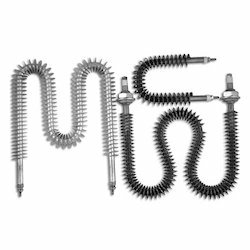 These are extensively used for various industrial purposes and are highly acknowledged among our clients due to their high reliability and durable nature. Apart from this, we also assure to deliver a defect free range of our products in a given time frame. 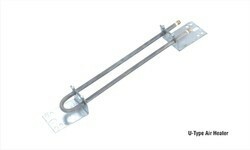 We are manufacturer of all type heater and specialized in making Air Duct Heater. We Are Manufacturer Of Core Shooter Machine Heater. We Are Manufacturer Of Jalebi Heater. 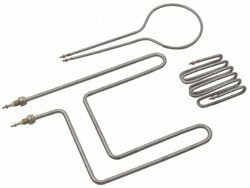 We Are Manufacturer Of Roti Macker & Khakhra Macker Heating Elements. 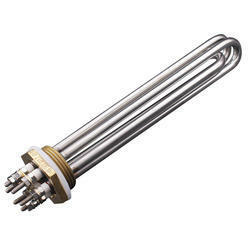 This heater are used for pre heat material. We Are Manufacturer Of Corrugation Machine Heater. 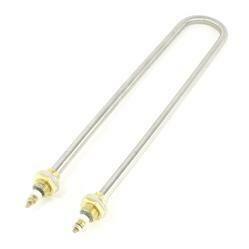 We Are Manufacturer Of Oven Heating Element. 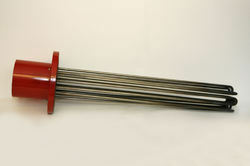 We Are Manufacturer Of Water Immersion Rod. 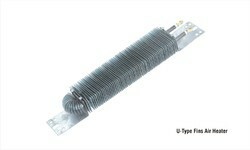 We Are Manufacturer Of Boiler Heating Elements. 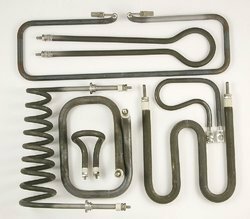 We Are Manufacturer Of Autoclave Heating Elements.